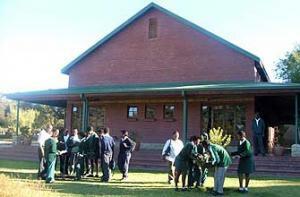 The Education Centre comprises of a hall which can accommodate 100 people without tables and 60 people with tables. It is primarily used for conference meetings, seminars and workshops on issues relating to conservation and environmental education. Team building sessions also take place here.No alcohol is allowed in the hall. We offer water in jugs, tables, chairs and a white screen for projection. The venue is open from 07h30 until 16h30.